I've been eager to share these photos with you for awhile, and finally we have reliable enough internet to download them from many emails and then upload them again. Well, mostly reliable internet. I only restarted it four times so far today! 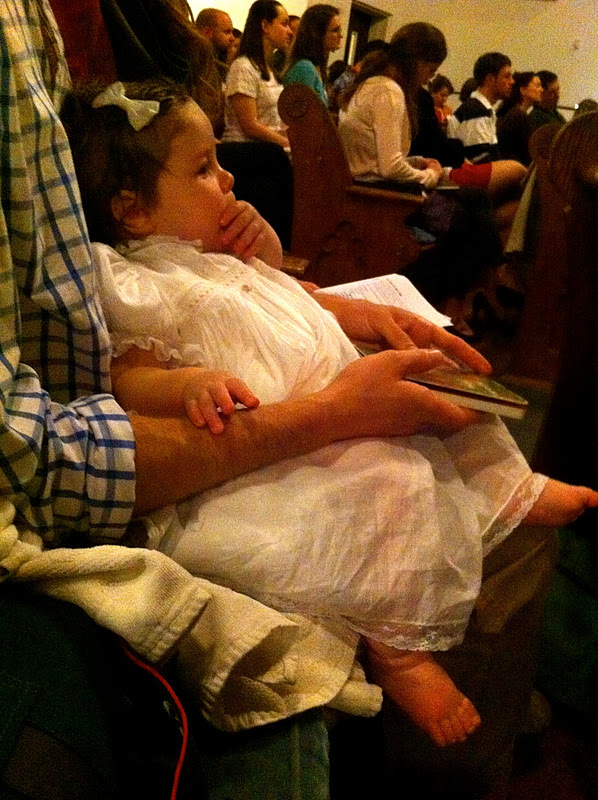 Lena was baptized the Sunday after Thanksgiving at our old church on Capitol Hill, D.C. Our entire families were there as well as several of our dearest friends. We all loved the pomp and circumstance of acknowledging that this child is a covenant daughter! For Elliott and me, knowing that we were moving back to Sicily the next morning made it all the sweeter. 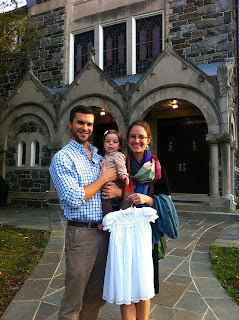 Lena wore a beautiful dress sewn by my friend "Aunt" Leslie. She has a business of making heirloom clothing, quilts, and accessories, including gorgeous christening gowns. Visit her website here! We asked both sets of grandparents to stand up with us. Thank you for coming, Johanna, Abi, and Sarah (and others not pictured)! We are blessed by your friendships.